SMS All<space>16-digit Hong Leong/former EON bank principal credit card number to 66600 during contest period. Get 5 entries with every RM50 cumulative spend. 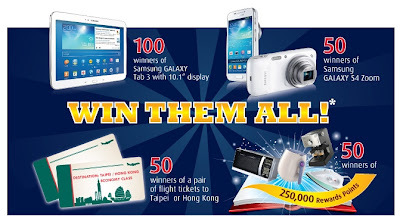 Get extra 5,000 entries with RM1,500 and above cumulative spend per month. Visit Hong Leong website for more details.